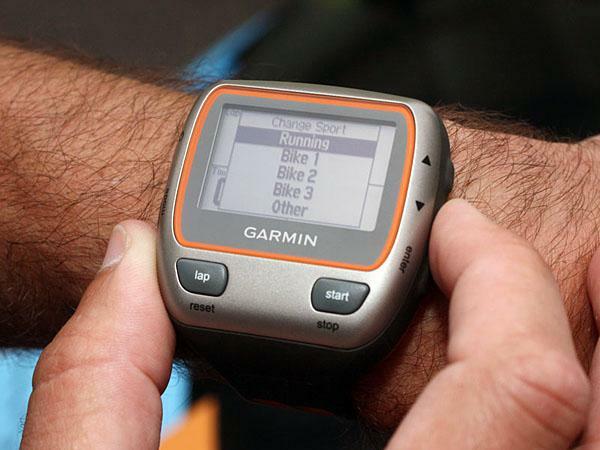 I had a Garmin 405CX for about 3 years. It had a touch bezel that was VERY temperamental. If my hands were cold, I struggled to get it to work and when it rained, the raindrops would cause it to flick between screens, which was very frustrating. However, it was a comfortable watch and it wasn’t too big. Another plus point was that it was possible to use it as a watch all day long as it had great battery life when the GPS wasn’t being used. I used it for runs of over 5:30 hours and the battery was fine for that as well. 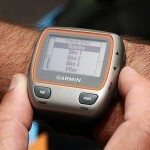 I now have a Garmin 910XT. I’d love to have the new 920XT as it is a smaller watch and has some additional features, but the 910XT works just fine. I wish the battery meant that I could use it as a regular watch at times, but the GPS eats the battery. I’ve used it for a 7:30 race, which was fine and it should see me through an Ironman. The mount for putting it on a bike is the opposite way round from Garmin bike computers, which is silly and frustrating. It has a clear and easy to read screen, which is great. When I ended up with the 310xt I doubted a lot about the 910xt, because I wanted to pick up swimming as well.